The entire gospel in a tour-de-force performance. What would it be like to be in a room with Jesus, and have him speak to you personally? 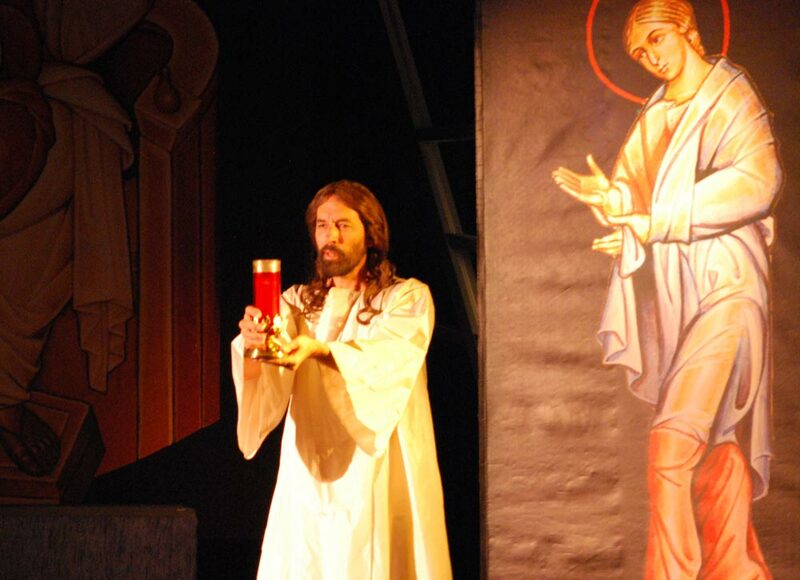 Audiences experience this personal encounter in this beautiful and profound production of The Gospel According to John. Also available on CD. The Gospel According to John is not currently on tour, but we'd love to talk to you about relaunching this show. Give us a call or fill out the form below. "The Gospel of St. John still stays with me and was a great tool for evangelization and the living Word of God."